Serco supports governments around the world in the delivery of essential public services. We focus on six key sectors: Citizen Services, Defence, Health, Immigration, Justice and Transport and operate across the UK and Europe, North America, Asia Pacific and the Middle East. 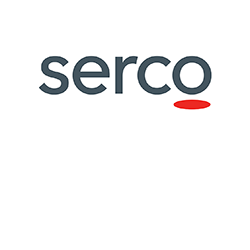 In our region, Serco employs more than 9,000 people across Australia, New Zealand, Hong Kong and mainland China. Serco is a FTSE top 250 company managing over 500 contracts worldwide. Serco provides responsive, reliable and efficient retail and online clothing services to the Australian Defence Force (ADF) through our management of the Defence Clothing Stores contract. Our services have been delivered for over 11 years. Serco provides medical and dental logistics management services to the ADF across the globe. Serco provides logistics and base support services to the Australian Defence Force across the Middle East Region. Serco Asia Pacific (ASPAC) has been operating for more than 20 years in Australia, New Zealand and China and has a proven track record in delivering the most demanding, complex and sensitive solutions for government clients. Employing around 9,000 people in the ASPAC region, we apply world's best practice, insights and technology across six key sectors: Citizen Services, Defence, Health, Immigration, Justice and Transport.